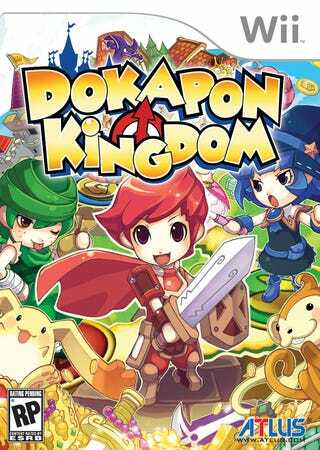 Atlus loves to talk about how its upcoming PS2/Wii "party RPG," Dokapon Kingdom, is going to make you and all of your friends hate each other as you fight one another to be the best kingdom-defender and win the hand of Princess Penny. But man, how can there be hostility when these screens look so damn adorable and hilarious, seriously? Fist-in-teeth, girl-squealing adorable? You're looking at the official box art for Wii. Release date is October 14th, new screens after the jump!